In April 2010 I decided I needed a new phone. 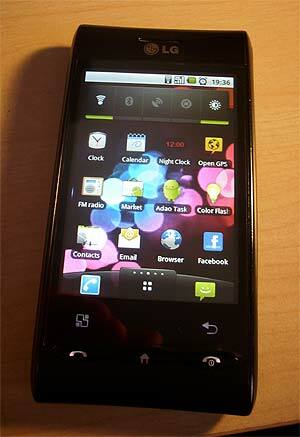 I had been bought a new one not long before and it was a great phone (INQ1 by Three). It was branded as a 'social phone' and it had some nice features on it such as Skype. The only down side was it didn't work very well over 3G (not well enough for a chat at least). Facebook worked fine and it also had MSN Messenger which did well. Unfortunately, the network (Hutchison 3G, or Three as many know it) was pants. Their tarrifs were brilliant, but their network coverage was awful. I had previously moved from O2 and I never had any issues with them at all. Coverage was everywhere I went - you couldn't ask for more. Three however used T-Mobiles network as well as the few masts they owned. T-Mobiles network was just as bad which is why I moved to O2 from them 4 years previously. Now, to my new phone. I decided to move back to O2 because they gave the best plan at the time. This consisted of 300 free texts and 500MB data for £10 a month on Pay and Go. If you run out, it was 10p/message and £3/MB for data (with a maximum charge of £1/day). The phone I chose was a low end phone. Unlike some people I didn't have the luxury of spare cash to pay for a £30 a month contract for a decent phone - as much as I'd have liked to. The GT540 cost me £150 directly from O2's website which was about as much as I was prepared to pay. I was however looking for specific features. I wanted it to be a temporary replacement for a computer while I went camping, for example. It did very well, except when I was camping there was only a 2G signal because of the location (countryside in Wales) however even that was sufficiently fast enough for basic browsing/e-mail. * I only got about 140 hours and that was with everything turned off, 2G only, and very little use! About 9 months after getting the phone, LG released an update for the Android OS which I decided I'd like to have. Of course as always the better versions usually mean better features, etc. This is true, if it had actually worked. I tried 4 times, and in the end I tried a custom ROM too. None of them worked properly and I couldn't down grade back to the old version which worked fine - a limitation LG has put in place for some obscure reason. Following on from that issue I had to send it back to LG for repair. They installed the new OS properly but when I received it back some functions were not working properly. For example I am now no longer able to use data without the risk of not being able to receive calls or text messages. If I leave the function on, it refuses to receive calls/texts. I've owned the phone for a year now, and I have to say it's served itself well, despite the data connection problems which I don't just put down to LG but also O2. It is thought that O2 has a severely overloaded network and this is partially part of the problem as I'm not the only one to have this issue. This is my first experience with Android, and I hope it will not be the last. I like Android for it's simple to use interface (just like the iPhone). However unlike the iPhone I find it a bit more open even if it is not as robust or supported as iOS is. Given the choice, I wouldn't mind going for an iPhone either but cost is the primary factor which is why Android won.